Combat Medic is the best Support character for any end-game team in Fallout 76. This build is not suited for playing solo and was never intended to be played in such a way. Most of the Perks listed in this build are solely for the purpose of supporting your teammates on the battlefield via healing, restoring thirst and hunger, opening locked doors, and hacking computers. Thanks to Combat Medics, everyone else can focus on maximizing DPS so that your team can face any Boss in the game. Odealo is a trading platform for MMO players. It supports player-to-player trading for Fallout 76 Caps, Items, and crafting materials. The weight of all Chems (including Stimpaks) is reduced by 90%. You get double the quantity when you craft Chems! On Odealo dozens of sellers compete for your attention. 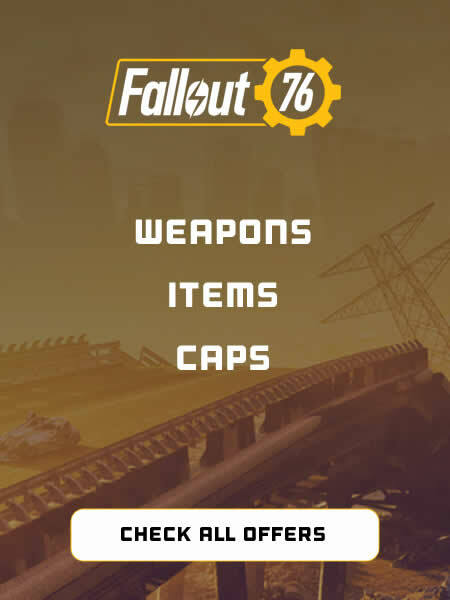 Buying Fallout 76 Caps here guarantees best prices, prompt delivery and the best quality of service.